Gain the skills and knowledge you need as a testing professional with this industry standard qualification. Verify your testing skills with this essential accreditation! Want to establish a solid foundation for your testing career? In this course, you will learn how to apply test principles and control your own test activities using test processes and methodologies that are globally recognised as best practice. 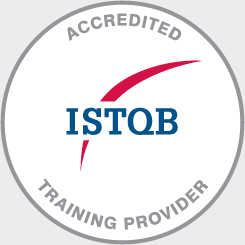 The ISTQB® Foundation Certificate is an essential accreditation for all testing professionals. Internationally recognised, it is the industry standard professional qualification and has become a prerequisite among many hiring managers when considering testing candidates. Test Analysts and prospective testers wanting to improve their testing knowledge. Testers seeking to accredit their skills for recognition among employers, clients and peers. "Great course material and an experienced Trainer. Overall, an outstanding course presentation and is highly recommended for all Testers and Test Leads." The ISTQB® Foundation examination is a closed book exam that is 60 minutes in duration (or 75 minutes for candidates taking exams outside of their native language). It is a 40-question multiple choice exam with each question being worth 1 point. Candidates must score a minimum of 26 points (or 65%) to pass the exam and become a Foundation Certified Tester. Examinations are independently administered and assessed.